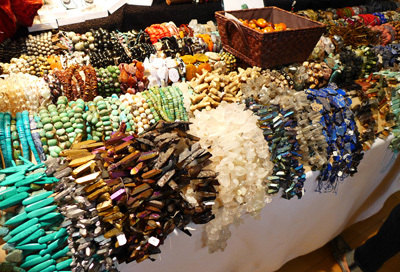 Ayla’s Beads held a Bazaar in Highland Park’s Art Center last weekend and I could not resist going. 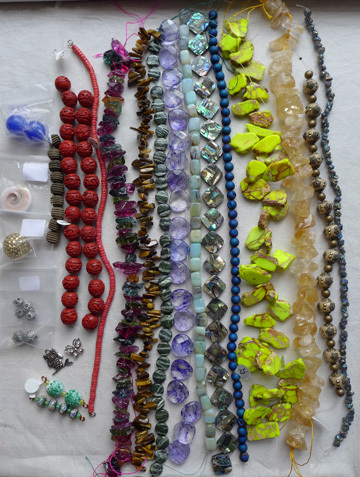 Having learned from the Bead & Button Show, I took a visual inventory of what I had in stock. 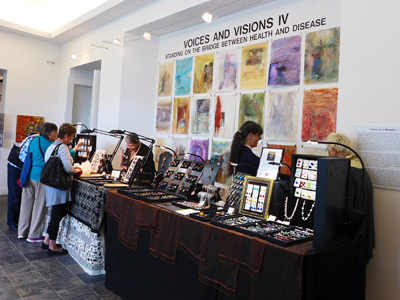 I sort of had a budget in mind, but made exceptions for exceptional beads in the 4 rooms of The Highland Park Art Center. 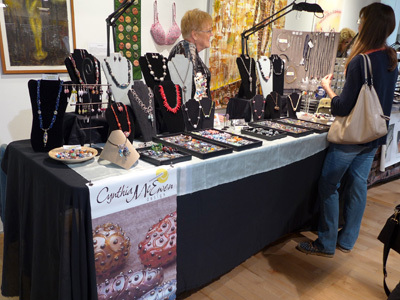 They had a mother-daughter show in full swing, which had some lovely pieces. 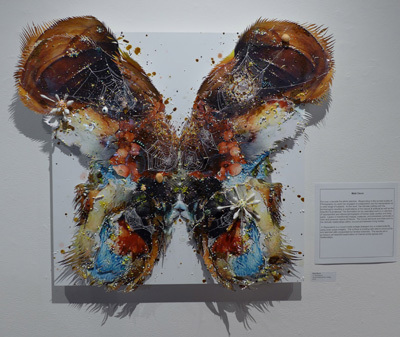 Of course the butterfly by Matt Duvin caught my eye. 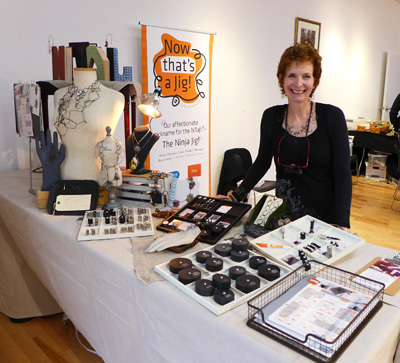 I turned a corner into a side room to discover Brenda Schweder’s Now That’s a Jig Booth. I’m planning on making that my Christmas splurge, and am so inspired by all the pieces Brenda’s friends have created with the jig and a variety of materials. It was lovely to chat and reminisce about our first meeting at The Creative Connection Event in Minneapolis. I was in such a different place then, and I needed the reminder this particular week that you are never stuck in the present. I was reminded that people you meet and classes you take can lead you down paths you don’t anticipate at that moment, but do help you pursue what you are meant to do over time. 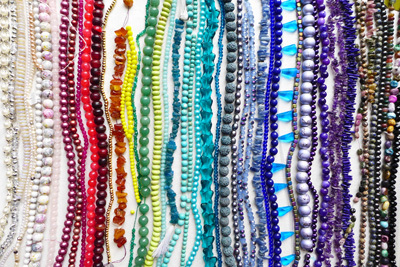 Silk Road Treasures had a wall of beads. 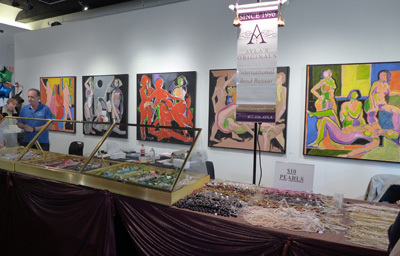 I was thrilled with Dakota Stones, which was one of the busiest booths at the show due to its amazing array of gemstones. String a Strand had some awesome beads and findings as well. 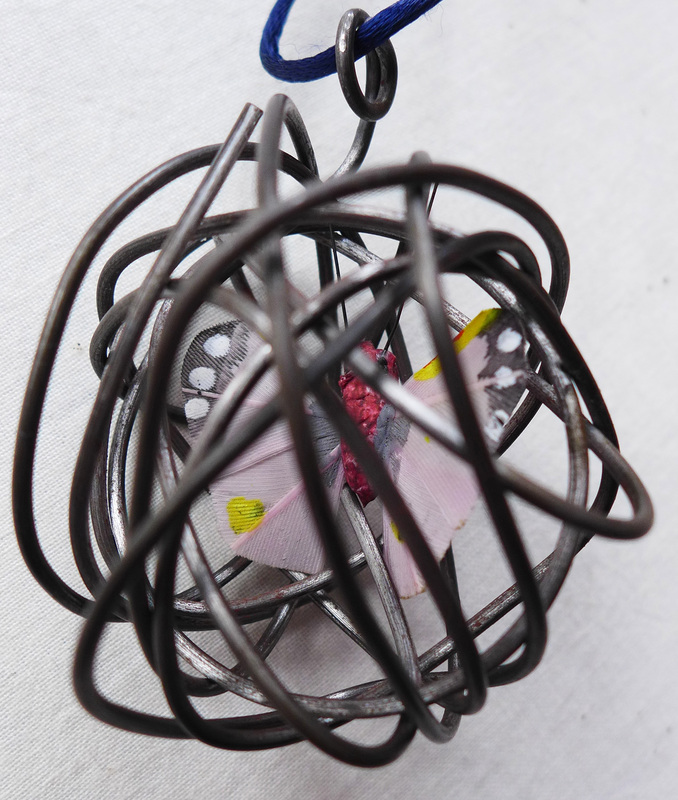 The handmade glass beads intrigue me, and I got a small starter set to play with from Diane Tarullo before delving into this. 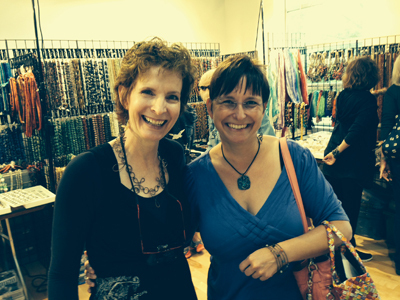 I had a lovely chat with glass artist Sheila Papaioannou and her husband. I am inspired by their designs as well. 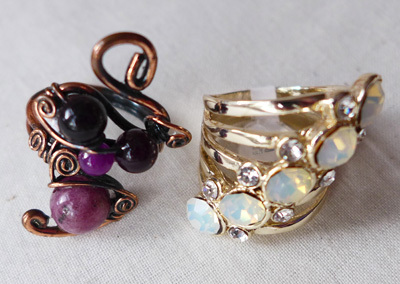 I splurged on some ring bling from Ayla’s booth, which is so inspirational. 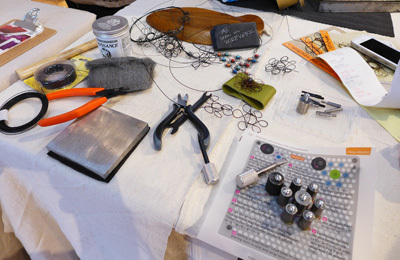 I look forward to taking a steel soldering class there next month that might help me create a pink ring of my own. I look forward to creating pieces with all these new inspirational, healing and cheerful pieces, and cannot wait to show them to you. 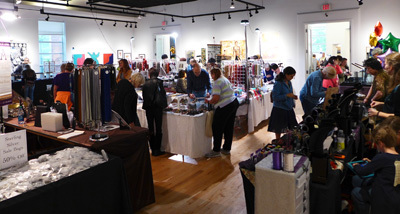 My Shopping quota has been reached for now too, unless I sell loads of pieces at Ravenswood Art Walk October 4 & 5! 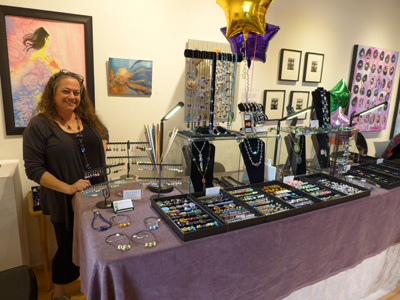 This entry was posted in Business, BusinessNetworking, Travel and Excursions and tagged Ayla's Bead Bazaar, Bead Show, Beading, beads, Brenda Schweder, crystals, HVNSTN, The Art Center - Highland Park.